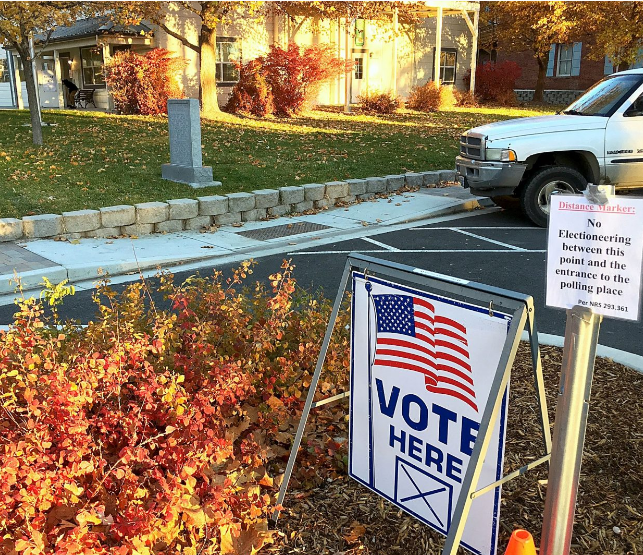 The polls in Nevada's oldest precinct, Genoa, were open on Nov. 8, 2016. Today, campaign plans translate into reality when filing opens for 2018 nonjudicial office. With nearly two-dozen separate taxing districts with their own elected boards, traffic at the Clerk-Treasurer offices in Minden and Stateline is expected to be heavy over the next two weeks. The offices are open 9 a.m. to 5 p.m. at the historic Douglas County Courthouse and the county offices in Stateline. More information is available at govotedouglas.com. 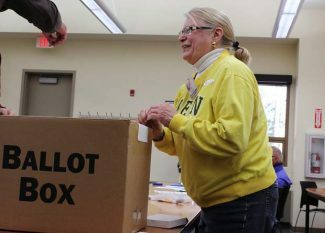 With local partisan offices being resolved in the primary, and Douglas County’s significant Republican majority, the announced races for county commissioner and assessor will likely be resolved in the June primary. If all four sheriff’s hopefuls file, the nonpartisan race will appear on both the primary and general ballots. Fewer than 4,500 votes were cast the last time there was an open race for Douglas County sheriff. That election in 1974 led to a recall vote three years later and resulted in the 1977 appointment of Sheriff Jerry Maple. Current Sheriff Ron Pierini was appointed to the office in 1997. 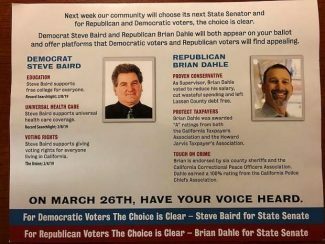 This will be sheriff’s candidate Dave Brady’s second attempt to win the county’s top law enforcement office. Brady’s name has appeared on a countywide ballot virtually every four years since he was first elected to school board in 1996. He is facing sheriff’s captains Dan Coverley and Joe Duffy and retired Marine Dean Paris in the primary. The top-two vote-getters will go to the general election in November. Longtime Douglas residents and department employees Trent Tholen and Dion Etchegoyhen are seeking to replace Assessor Doug Sonnemann, who has served since 2002. Because assessor is a partisan race, it will likely be resolved in the primary. Also up for election this year are the offices of district attorney, clerk-treasurer, recorder and constable. Filing for Douglas County’s two justice of the peace seats was in January and resulted in one race for East Fork. 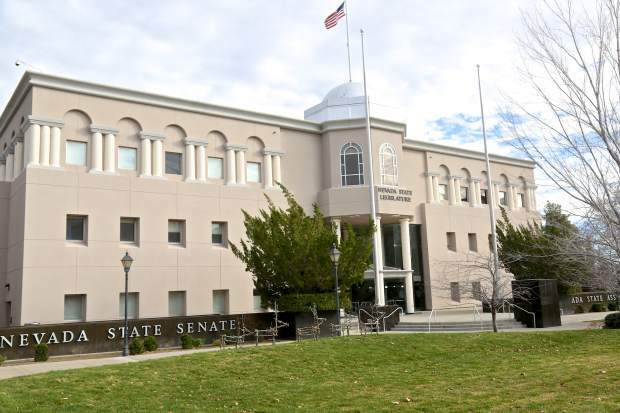 Unlike legislative offices, such as county commission and school board, judges and county constitutional officers are not subject to Nevada’s 12-year term limit. Four seats on the Douglas County School Board are up for election this year. The school board is a nonpartisan office, and so could be decided in the November general election. School board trustee Tom Moore is term-limited this year. Moore was appointed to office in May 2007 and will have been in office 11 years. Under Nevada law, a candidate may not file if the term will exceed 12 years. Ross Chichester was elected in 2010, and was re-elected in 2014. Genoa resident Robbe Lehmann is wrapping up his first term in office. Board member Carey Kangas was appointed to the school board last year and her seat is up for election this cycle. There were 19,480 Republicans registered in the county and 8,608 Democrats. Nonpartisan voters make up the third-largest contingent with 6,227 registered voters.